Germany's Zehnder Pumpen manufactures pump technology for industry, homes and gardens. The French plumbing manufacturer SFA Group, a leader in macerating and grinding toilets and parent company of Saniflo, has acquired Zehnder Pumpen GmbH, a German manufacturer of pump technology for industry, homes and gardens. “With the acquisition of Zehnder Pumpen in Grünhain-Beierfeld Saxony, SFA Group strengthens its position in the worldwide growth market of sanitary technology and ideally complements its current product portfolio,” said Stéphane Harel, member of SFA Group Management Team. “We believe there are several areas of potential opportunity and synergy in acquiring Zehnder,” he continued. 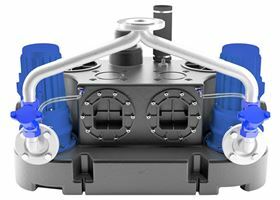 Zehnder Pumpen’s portfolio has more than 1000 pumps and pump systems for fresh-water supply and sewage and wastewater disposal under two brands: ZEHNDER and blueZPring. Established in 1970, Zehnder Pumpen offers pump systems, from submersible pumps and garden pumps to sewage and excrement lifting units as well as domestic pressure pumps and waterworks, to sanitary wholesalers, the pump specialist trade and professional plumbers. SFA (French Society of Sanitation) Group offers a wide range of macerators, grinders, drain-water pumps and condensate pumps for both residential and commercial applications. The acquisition will allow SFA to enhance its geographical footprint and increase sales in Germany. Zehnder Pumpen, meanwhile, will benefit from leveraging SFA’s 25 subsidiaries and 60 distributors worldwide to grow its product sales. Zehnder Pumpen will become a wholly-owned subsidiary of SFA Group but will remain a separate legal entity with its own brand. It will continue as an independent business unit within SFA Group. The acquisition is effective from 1 January 2019.